Google have begun rolling out the Google Assistant to Android Auto and Android TV owners. Mike Hayes, Director for Android Play Partnerships APAC, says that "we’re excited to announce that the Assistant can do even more to help Aussies at home and on the road with the launch of the Assistant for Android Auto and Android TV – with rollout beginning in Australia this week." "With Android Auto, you can safely and easily stay connected, find answers, and get things done in the car - all with just your voice. You can listen to your playlists from apps like Spotify or YouTube Music, get quick directions from Google Maps or Waze, send or receive messages from services like WhatsApp, and control your connected smart home devices. You can also access useful Actions on the go from our partners." Google say that Android Auto is currently available in over 500 models of car globally from 50+ brands, including Alfa Romeo, Mercedes-Benz, Volkswagen and Volvo. 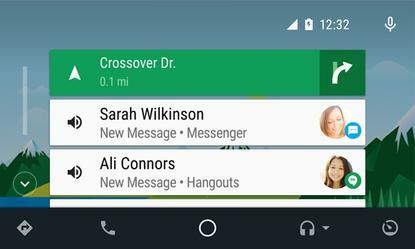 You can use the Assistant in Android Auto on your car display by connecting your Android phone to a supported car—or you can use it on your phone screen in any car. Meanwhile, the Google Assistant is now available on the NVIDIA SHIELD TV from today. Google say Assistant support will be coming to Sony Bravia, TCL and Kogan TVs in the coming months. Once setup, you'll be able to call up the Assistant just as you can with smart speakers like the Google Home.